In this Oct. 22, 2018 file photo, a fentanyl user holds a needle near Kensington and Cambria in Philadelphia. Suicides and drug overdoses helped lead a surge in U.S. deaths last year, and drove a continuing decline in how long Americans are expected to live. U.S. health officials released the latest numbers Thursday, Nov. 29. 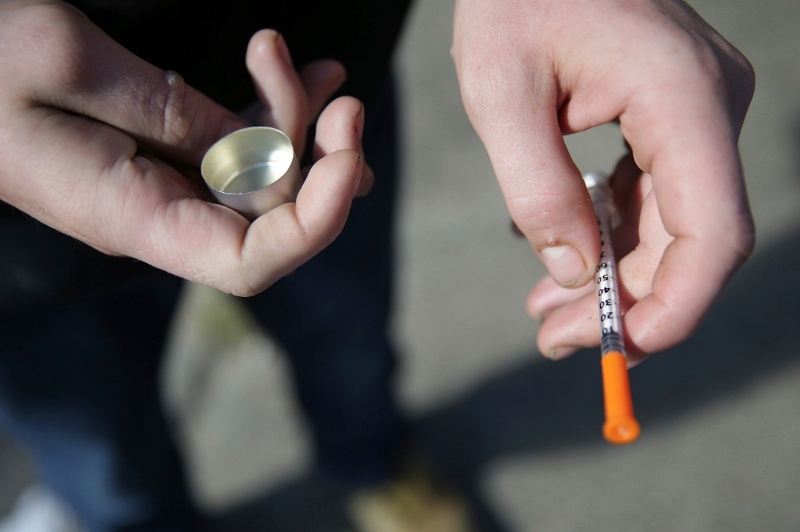 Death rates for heroin, methadone and prescription opioid painkillers were flat. But deaths from the powerful painkiller fentanyl and its close opioid cousins continued to soar in 2017. NONE OF THOSE ARE DISEASES. This man is speaking outside of his area of expertise. His diagnosis is a thinly-disguised political diatribe.